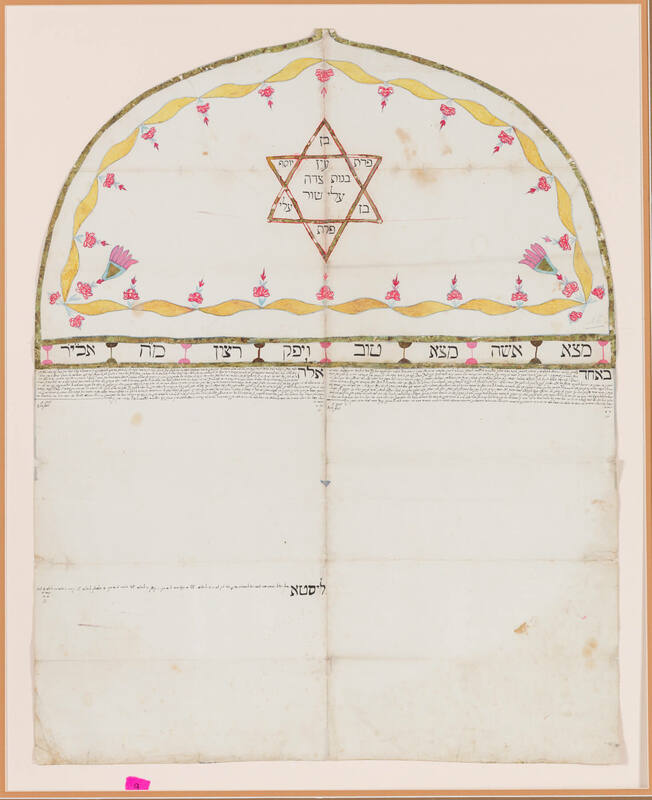 KETUBAH – KYUSTENDIL, BULGARIA, 1884. Decorated with Star of David and Ben Porat Yosef inscription. 22” x 27.8”.